The carton is made of Invercote from Iggesund Paperboard. Conversion is by the distinguished French printing company Draeger on behalf of Interparfums. The packaging is offset printed on both the inside and outside. The printing on the inside is in a pale pink shade, which creates the mood around the bottle. Externally the packaging has a blind-embossed snakeskin pattern plus two rows of text on the front. The outside is also laminated with soft touch film, matt varnished, and foil embossed with both silver film and holographic film. “Our choice to use Invercote G was motivated by the fact that its smooth surface allowed a very faithful reproduction of our design in terms of color and hot foil stamping. 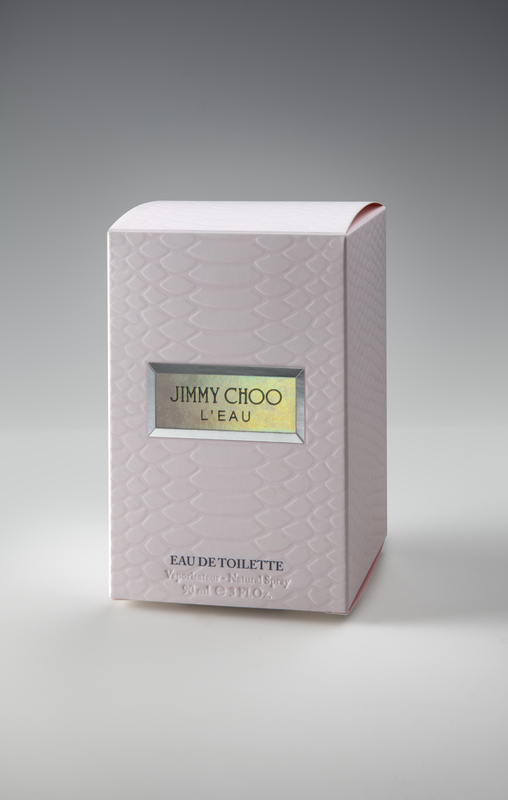 It also brings great embossing properties to achieve the impressive snakeskin pattern on the whole packaging” says Axel Marot, Supply Chain & Operations Director at Interparfums. For producers of advanced paperboard packaging involving many finishing stages, one paperboard property can be of critical importance to the end result: dimensional stability. This may not be the first thing people consider when choosing a material but experienced converters always include it in their calculations. In Invercote’s case the secret is a combination of a high proportion of long cellulose fibres from pine and spruce plus the sulphate process that extracts these fibres in a gentle way. In addition, the paperboard is constructed in several layers. This is not only important for dimensional stability; it also reduces the risk of cracks in creases compared with single-ply paperboard and paper. However, there is no simple measurement of dimensional stability that customers can find among the lists of specifications from paperboard manufacturers. “For people who do read these specifications, two clues are high values for tearing strength and tensile strength. But I believe that a large proportion of our customers have discovered this strength from their own experience,” Thurfjell says. As a product manager he believes, naturally enough, that people should pay more attention to their choice of material.